instead of being lost in the dust bunnies. First, make sure that the layout you’re using supports a navbar. To do this go to Layout (Design in the Old Interface) and see if there's a navbar above or below the header. If there isn't one, look for "Add a Gadget" in the header area. Either of those options will work. Decide what you want for labels. Normally you can do 6-8. It all depends on the width of your work area. Make sure you have posts labeled with the labels you want to use for your tabs. Click on the pictures to see them better. Go to a published post with a label you want to use for a tab. Click the particular label you want to us. Copy the url for that label. 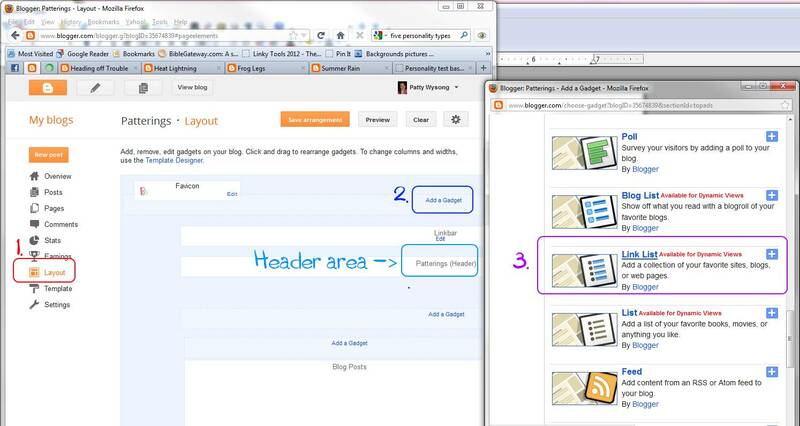 Go to your Dashboard (open it in a separate browser window to make it easier) then Layout (Design in the Old Interface). In the header area, click Add a Gadget. Select a Link List Gadget. Paste in the url of that label and then name it. 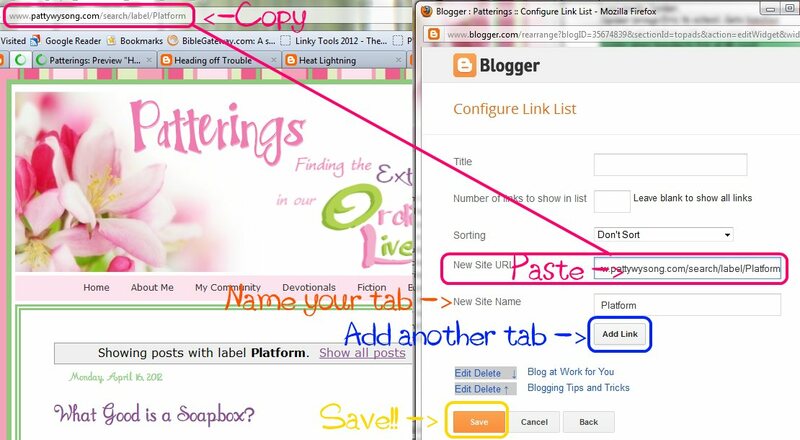 If you have more tabs you’d like to make, click “Add Link” and repeat steps 2, 3 and 7. On the Layout/Page Elements page (New/Old Interface), make sure the Link List is either above or below the header and click Save. By using your labels as topics, you can organize your site so it’s functional with info that’s easily accessible all the time. Careful use of labels will save your sanity. Really. I’m a co-owner of a site where the labels are totally out of control. There’s no hope of organization nor or having the archives accessible, which is really too bad. 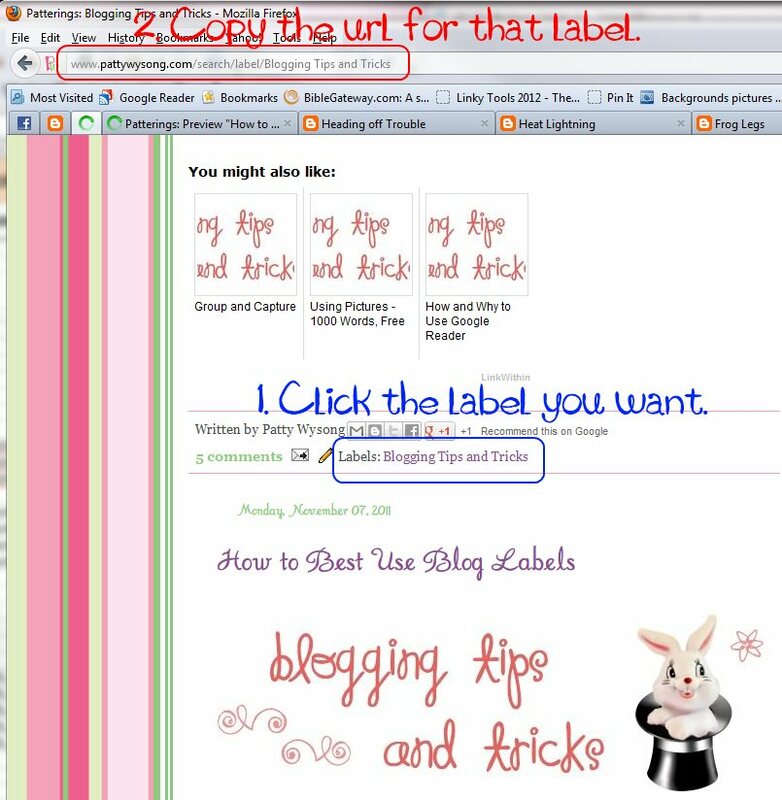 Another idea for labels is to use them for buttons/links in the sidebar like I’ve done at the Book Loft. The buttons allow for easy searching, with our readers in mind—they help us become a resource, something you want to be. 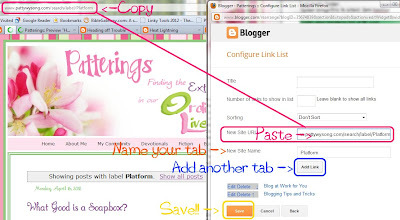 Here are instructions on how to label your posts, in bulk on your Dashboard. 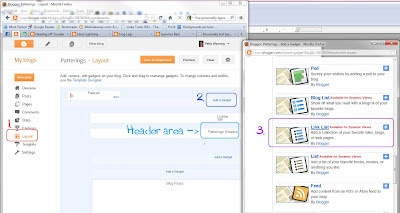 Labeling posts can be done from your Dashboard, either the Updated or Old Interface, but if you want to remove labels, it's easier to move back to the Old Interface of the Dashboard and do it from there.